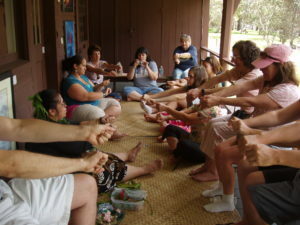 Held once a month on Hula Kahiko performance days, the public is invited to join cultural specialist Loke Kamanu and her ʻohana, as they demonstrate on the porch at the Niaulani Campus of Volcano Art Center. 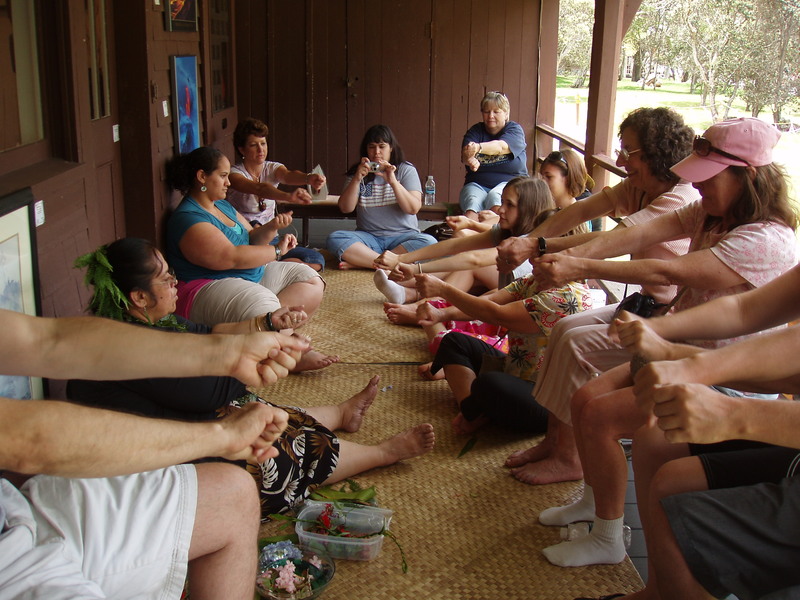 Presenting a lovely display of “Nā Mea Hula” (all things hula), they will share a variety of instruments, implements and lei styles that play an integral role in the life of the hula practitioner. This memorable demonstration is hands-on and family friendly.